Hi NLP friends, just completed my Master Practitioner course in London. Richard Bandler,John and Kathleen La Valle delivered an inspirational, in-depth journey of the mind which has changed my life forever. Words can't do justice on the impact this course has had on me. Having worked in a stressful environment for the last 25 years at a senior level, I have decided to leave my job and broaden my horizons, doing the things I want to do my way utilising the new skills and knowledge the NLP LIFE training has given me. The course was an amazing, life changing experience and I feel so inspired and full of hope and have a much clearer vision for the future. I also never knew I could have so much fun and laugh so hard plus I met lots of wonderful new people. I'm now moving full steam ahead with setting up my coaching business and am looking forward to incorporating my new NLP skills into this. Can't wait to return in October for 'Get the Life you Want' and in the mean time...just reeeeelaaax :-) Thanks again to you, Richard, Kathleen, John and everyone else that helped make last week so, so special. For the last 12 years, I had been working as a Sports Mental Toughness Coach for the Indian National Sports Teams. 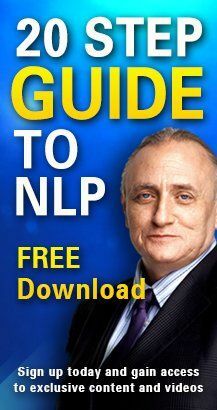 I had read multi various books by both Richard Bandler and Mackenna. I could say that so far I had absorbed not more than 10% of the Theories; Whereas this weekend(3rd and 4th October,2015) had broadened my horizon. The practical Trance sessions had enhanced my level of understanding to not less than 110%. That's the spirit of absorbing the power rather than merely observing it from afar. My heartfelt thanks and gratitude to you and your team for such a wonderful experience. A quick note to say thanks for a great week on my Master Prac. course. Richard, John and Kathleen were excellent and your organisation and support was awesome! I have been inspired to book onto my trainer training in Florida next year, after which there will be no stopping me! Just a brief note to say how fabulous Friday's event was. I felt privileged to be in the audience, and can genuinely say I learned something from each of the speakers, none of whom (with the exception of Dr Ro) I had heard speak previously. I'll look to apply the things I learnt that day in my daily life, both personal and professional. My experience on the Master Practitioner programme with NLP Life Training, far exceeded my expectations. This, coupled with the enthusiasm of NLP Life Training staff and all the assistants on the programme - made this a major life changing experience for me personally. I was lucky enough to be on stage with Paul McKenna for the 'Havening Technique' to help me cope with panic attacks for claustrophobia following a scuba diving accident 6 years ago. I wanted to also say that since having the Havening Technique with Paul I have been in lifts also got stuck in a traffic jam yesterday and had no panic what so ever! It's been such a gift and a joy to have this experience and I thank you for arranging the weekend.